SHIPPING INFORMATION: Ram Fixture makes every effort to send your shipment the best way: via UPS , Common Carrier or FOB Factory. If you have a preferred carrier, we will make every attempt to comply, however, a handling charge may be applied. All shipping and handling charges are the responsibility of the customer. Common Carriers or tailgate trucks provide dock service only, and unloading is the Customer's responsibility. Transporting the merchandise inside is also the Customer's responsibility. Inside delivery may be available in your delivery area for an additional charge. Upon request, we will be glad to provide a freight estimate for your order. This is only an estimate and the Customer is responsible for all actual freight charges incurred. We accept VISA, MasterCard, American Express & Discover. Your credit card will be run twice. Once for the merchandise and a second for the actual freight charges. Actual freight may differ from your freight estimate. Check: Order may be pre-paid by check. Check must clear before the order is shipped. COD: We will ship COD orders to return customers. 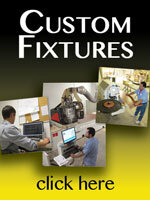 Electronic Funds Transfer- Available, please inquire at info@ramfixture.com. FREIGHT AMOUNTS: A freight estimate for all UPSable items will be supplied at the time orders are placed. Freight amounts are estimates only and all final shipping costs will be paid by customer. All non UPSable or Common carrier freight amounts will be given to you prior to shipment or charging of your credit card. ORDERING BY FAX, MAIL OR EMAIL: Please send all fax, mail or email orders to the attention of our Sales Department or to info@ramfixture.com. Include your name, business name, complete address, telephone number and method of payment. 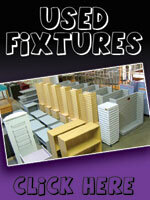 Specify item numbers, colors, quantities and descriptions. Once the order is received and processed you will be contacted with freight information and to get a credit card authorization. SMALL ORDERS: All orders under $35.00 are subject to a $5.00 small order fee. CUSTOMER SERVICE: Our Customer Service Department will be glad to assist you if you have any problems or concerns about an order. To expedite the process, have your order number or shipment number ready. If an error occurs with your order that is attributed to us, please contact a representative immediately. If the error requires another shipment, we will ship freight free as soon as possible up to the same level of service as original shipment. Any expedited level of service above the original order will incur additional charges. Errors attributed to the carrier will be handled throght the claims process. RETURNS: We will gladly accept any return of stock merchandise within 30 days of invoice for store credit. Please call to obtain a Return Authorization Numbe before returning any merchandise since our receiving department will not accept anything without a Return Authroization Number. Returns must be in the original carton in resalable condition, must include a copy of the invoice, and must have freight charges prepaid. Some items are subject to a 25% restocking fee. No returns are accepted after 30 days. 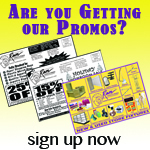 Special Orders, Custom Built Displays, Slatwall, Showcase/Counters, Tradeshow Items, Floor Samples, closeouts, USED items, outdoor banners, holiday and seasonal items are non refundable. DAMAGES: Please inspect, count and open all cartons at the time packages are delivered. The carrier is responsible for damage in transit. UPS damage: If you discover damage after opening package, call UPS for an inspection. Save all packing materials. Do not return package to Ram Fixture. Common Carrier Damage: All shipments are insured against damage in transit. It is the Customer's responsibility to inspect all packages and cartons at the time of deliver. It is the Customer's responsibility to count all packages, note any visible damages, and file all freight claims. When a carton is visibly damaged upon arrival, IT MUST BE INDICATED WHEN SIGNING THE TRUCK BILL OF LADING. The driver should sign both copies. This is to protect you and to enable you to file a claim without issues, with the carrier. Concealed Damage: AFTER OPENING THE PACKAGE, CALL CARRIER IMMEDIATELY FOR INSPECTION. SAVE ALL PACKING MATERIALS. You must file a claim with the carrier WITHIN 10 DAYS of signing for freight. We will be glad to assist you in the process. IT IS IMPORTANT TO OPEN ALL CARTONS IMMEDIATELY TO BE ELIGIBLE TO FILE A FREIGHT CLAIM. Ram Fixture cannot be held responsible for loss or damage after delivery to common carrier. 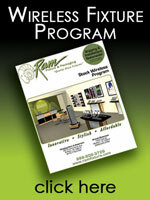 SPECIAL ORDERS: Ram Fixture will gladly provide pricing on non-stock items. A non-refundable deposit will be required for all Special Orders. A Proposal signed by the customer must accompany all deposits. Deposits may be made using any standard payment form. Deposits paid by check are subject to our Check Guarantee Program. Special Orders ARE NON REFUNDABLE. PRICING: All prices are subject to change without notice. While every effort is made to be as accurate as possible, we reserve the right to correct any error in description or price. BACK ORDERS: Any item not in stock at time of original shipment will be shipped when stock is replenished and seperate shipping charges will apply. REFUSE OR UNDELIVERABLE PACKAGES OR SHIPMENTS: In the event that the carrier is unable to deliver your shipment or packages for any reason that is not the fault of Ram Fixture, the outbound and return freight, as well as any re-delivery fees where applicable are not subject to refund, upon return of the merchandise. To ensure you receive the merchandise you have ordered, please communicate any special delivery needs through your deliverying agent. EXPEDITED SHIPPING: UPS Next Day or 2nd Day estimated freight charges are given at the time of online purchase. To expedite your order please state this in under "Comments" at checkout. 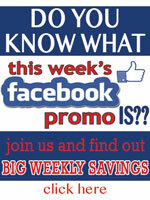 Ram Fixture ships Monday thru Friday only. Expedited shipments must be placed and confirmed before 11AM Mountain time (subject to stock availability). If a portion of your order is backordered, the in-stock items will ship expedited and the backorder will ship ground, unless you contact us. We will make every attempt to accommodate your expedited shipment, and would request that you call immediately after placing your order to confirm. Copyright © 2019 Ram Fixture & Packaging.